Supergirl introduces the third Worldkiller as Kara butts heads with Imra and Lena starts to understand what triggers Sam’s transformation into Reign. Some effort has been made in the recent episodes to establish how big a threat Pestilence is. 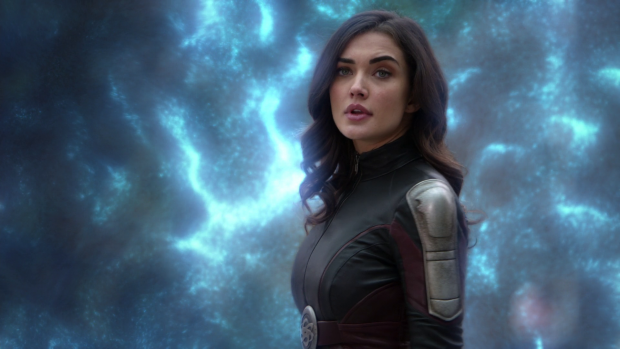 She is the entire reason behind Mon’El, Imra and Brainy being in the present day for one. They came back in time to stop the problem in its infancy because the escalation leads to a galactic spanning blight that apparently can’t be contained or cured. The introduction of this character is arguably long overdue and this episode keeps the audience in suspense as to when she will actually show up. Instead of introducing Pestilence as a character right away, the episode introduces it as a concept with a mysterious illness sweeping the city apparently caused by scratches. From here it becomes both a mystery and a race against time as Team Supergirl struggle to keep up with the spread of the illness. In order to ground this problem in a way that means something for the characters both Winn and Alex become infected which dials up the urgency and further isolates Kara because she temporarily loses two of her most valuable resources. It never feels likely that either Winn or Alex will be killed but the way other characters react to their infection is really well handled. Most impressive is Winn who has a really powerful conversation with James that makes the stand alone episode featuring his mother all the more meaningful. It plays out as a death bed confession of all of Winn’s regrets with him admitting that he tied so much of his self worth to what his mother thought of him. His insecurity has apparently been holding him back from reaching his own boundless potential but that it doesn’t affect him in the same way any more so it’s possible that this sets up a new arc for him. This scene is one of the best Winn/James scenes the show has produced because it highlights their friendship in a big way. Both characters have been mishandled by the writers of this show but this season shows an improvement for both of them so celebrating the fact that they have a natural friendship is a welcome addition to any episode. Even when they weren’t at their best the growth of their friendship has felt genuine and this scene makes good use of that. 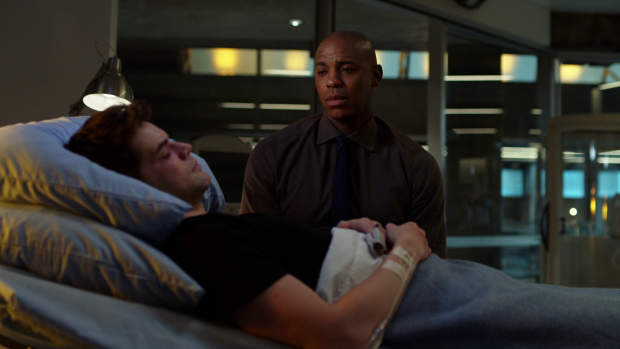 Mehcad Brooks’ performance as James struggles to remain strong for his friend is excellent and Jeremy Jordan effortlessly conveys the sense of pain and regret as Winn comes to terms with the fact that he might die without getting what he wants from life. 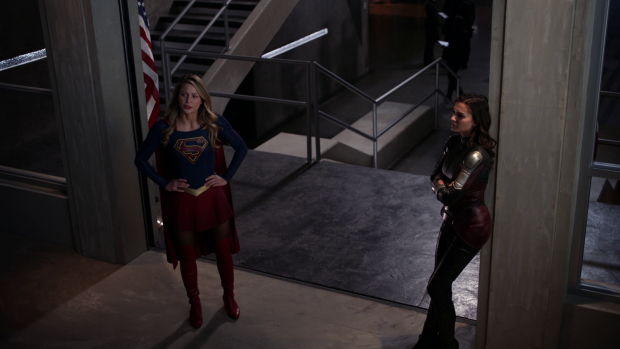 Keeping Pestilence in the background allows Kara and Imra to have a strong disagreement over what to do with her. Since they don’t know where or who she is there’s time to debate what will happen once she is found and they both have radically different views on what that is. 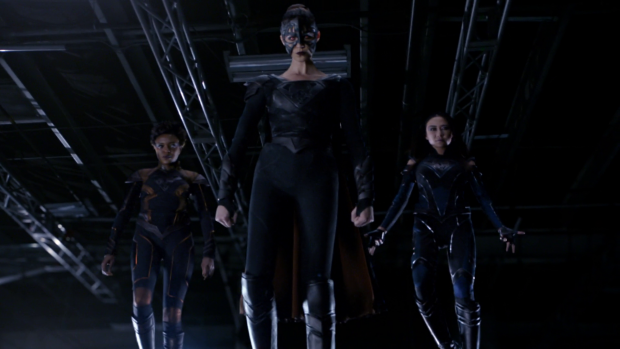 Kara’s position should be obvious to anyone who watches the show particularly after the introduction of the last Worldkiller. She believes that appealing to the Human side of the Worldkiller is the right approach and that saving them is more important than defeating them. Imra is firmly on the side of using lethal force as a permanent solution. Both sides of this can be easily understood because they are well argued. We as an audience know Kara really well and buy into her morality because it’s one of the pillars of the show. Imra comes from the position of knowing what Pestilence becomes and how far reaching her influence is. Killing her in this time period means preventing the deaths of countless millions in the future so as far as she’s concerned there’s no contest because the numbers support her point of view, at least from a purely utilitarian standpoint. Imra also has a personal motivation for stopping Pestilence because she loses her sister to the blight in the future. The trouble with this debate is the same as it always is. Every superhero that refuses to kill faces periodic opposition to their stance and it always goes the same way. In this case Kara counters killing Pestilence by looking to reach out to her Human side which is at least a plan but she doesn’t have an answer to the question of how many people suffer or die while she’s doing that. Unshakeable morality is her only defence and it isn’t really enough in this circumstance. This means that the conversations between Imra and Kara are really repetitive and provide no useful commentary on this issue. It also ignores the fact that Kara was the one to order the detonation of the lead bomb at the end of last season which indirectly led to the deaths of several Daxamites. At that point Kara saw no peaceful way out and made a tough decision so this problem should really be an extension of that. In fairness that tactic was only to encourage the Daxamites to leave but she wasn’t ignorant to the consequences. Another issue is that Imra has very little backup other than Brainy on this as everyone is inclined to side with Kara. Alex doing so makes sense as she learned the lesson about the importance of the Human inside the Worldkiller last time but the lack of other opposition makes the argument feel weaker as it sends the message that Kara is “right” which means that the other side of the argument hasn’t really been considered. Mon’El’s position on it has enough justification and makes for an interesting discussion between him and Brainy as well as furthering the rift that has been growing between him and Irma. His argument is that the Legion based their moral code Supergirl meaning that compromising they makes no sense to him as they would be forgetting the fundamentals of Legion code. Once again Imra’s position makes sense but the idea of being part of an organisation that is supposed to stand for something and ignoring that is in theory very strong. The conversation between Mon’El and Brainy is focused on practicalities as an oppositional force to ethics. Brainy outlines the numbers that lead him to conclude that killing Pestilence now is the best option but Mon’El feels that it’s not all all about numbers. Chris Wood’s delivery suggests that it isn’t a choice he makes lightly and that he is willing to stand by his morality even if it means there are negative consequences for a lot of people. Part of the ethical debate is that Mon’El was brought to this time period under false pretences. Brainy mentions that he wasn’t consulted because he would never agree to the mission. His stance on killing is made clear in this episode making it easy to understand why he wouldn’t be told about the mission to kill Pestilence in the Legion’s past. The reveal of what Mon’El had been lied to about may have been underwhelming but the reason for the lie is far more compelling as it shows there’s a range of commitment to the Legion ideals within the organisation. Imra and Brainy are comfortable with taking a life under certain circumstances where Mon’El truly lives those values and refuses to. This suggests that Mon’El is the only one who actually believes in those ideals. I’m definitely not interested in a love triangle as a way to manufacture drama but using the Legion code as the basis of friction between Mon’El and Imra is an interesting idea. The resolution of Kara and Imra’s argument is fairly weak as it’s a really unbelievable display of each of them coming around to the other’s way of thinking. The common ground comes from them both having sisters. Imra losing her sister helps Kara see her point of view when she admits that she might feel the same way if she lost Alex. That doesn’t track at all aas I couldn’t see Kara compromising her morality through loss. If anything Alex’s death would encourage her to stick to her ideals even more because she would feel that Alex would have wanted that of her. Imra does see Kara’s point of view as well though it’s not clear why her mind changes because the episode doesn’t do the work to establish what would change her mind. Pestilence’s introduction is handled really well. Normally a reveal is signposted with the introduction of a character who seems unimportant at first but ends up being the one the characters are looking for. It’s always obvious because these characters appear from nowhere and are obviously brrought in at an early point of the episode so that the reveal is more meaningful as the audience recognises them This episode plays around with this by introducing two background characters who could serve as a candidate for the identity of Pestilence and focusing on one over the other so that the audience forgets about one of them. Adelaide (Taylor Hastings) is shown to be a sympathetic character early on when Kara consoles her. She’s part of the situation and terrified of it while having access to all of the victims. Like Julia she’s fundamentally a good person so it’s easy to assume that the approach to Purity and Pestilence will be similar. Adelaide’s death comes across more tragically than it really should because of the work put in to establish her as a good person. Kara is hopeful that they’re on the right track because she sees Adelaide as someone that can be reasoned with therefore encouraging her method of reaching out to the Human side of the Worldkillers. When she is found dead the episode pauses just long enough for that to have an impact. Imra and Kara are on the same page for the first time since the episode began and her death is mourned albeit briefly. The reveal that Pestilence is actually Dr. Grace Parker (Angela Zhou) is effective because the episode brings her out from the background at the right moment and shows a willingness for the show to divert from formula to deliver a surprise. It’s also a reveal that makes sense given her position and access. As villains go, Grace aka Pestilence comes across really well with an engagingly menacing performance from Angela Zhou. I really like the idea that she’s a Surgeon with a God complex and feels that it’s her right to decide who lives and who dies. This gives Kara a very different challenge as Grace has embraced the darkness within her and can’t presently be reasoned with so defeating her won’t be as easy as originally thought. 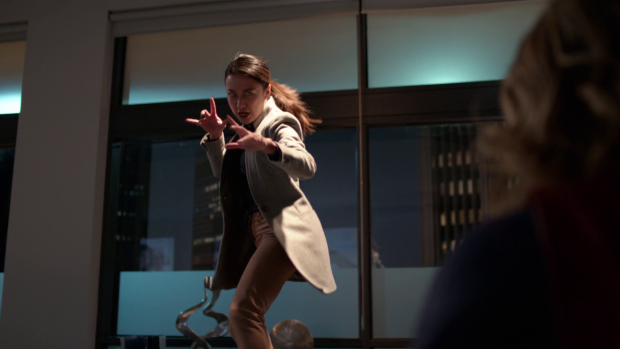 This episode also delivers the reveal of Reign’s identity to Kara. There’s a lot going on at the end of the episode as Kara finds out that Lena has been keeping Sam locked up to figure out a way to get rid of Reign along with learning that Sam and Reign are one in the same. It most likely alters Kara’s perception of Lena somewhat as this is something she decided to do without consulting anyone therefore suggesting that she isn’t someone to be trusted. I often say that flawed characters are good characters and this certainly applies to Lena who makes an arrogant assumption that she is the only one with both the technology and the intelligence to help Sam. It comes from a place of friendship and love as is evident from the emotional support she gives Sam. 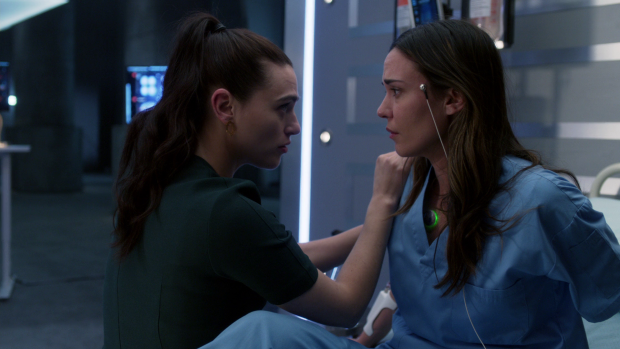 Their conversation where Lena promises to always protect Ruby is excellent proof of that but Lena has also made a mistake not involving anyone. Supergirl and her resources could definitely be an asset to this investigation and the emotional support of other friends could have helped Lena not become overwhelmed when dealing with this situation. It looks like Lena won’t be easily forgiven for her actions no matter how well intentioned they are. This sort of conflict is always interesting because it doesn’t feel manufactured. The investigation into Sam’s connection to Reign yields more information. Sam and Reign finally have a confrontation when the change is triggered and Sam disappears into another dimension. Lena reaching that conclusion seems a bit abrupt but the idea that Reign basically replaces Sam when she is in control is an interesting one. It allows them to have a battle of wits that will likely continue to play out until one of them proves to have the stronger personality. Ruby will likely be the key motivator for Sam in this conflict but for now the internal struggle is just beginning. Reign works to tempt Sam into giving into the strength that she represents which is naturally resisted by Sam who still has so much to live for. For now Reign doesn’t seem all that seductive other than the potential appeal of just giving in and letting Reign take control rather than finding a way to continue enduring the struggle. If the same applies across the other two Worldkillers then it’s clear that Grace has submitted to her darker side but Julia has yet to do this. A strong episode that handles the reveal of Pestilence really well. Introducing Pestilence as a concept giving Team Supergirl something intangible to combat before revealing the identity was a nice touch as it creates an effective mystery as well as a race against time. Focusing on Adelaide and highlighting the similarities between her and Julia to give Kara hope that she can get through to her was a good idea that gave her death impact. 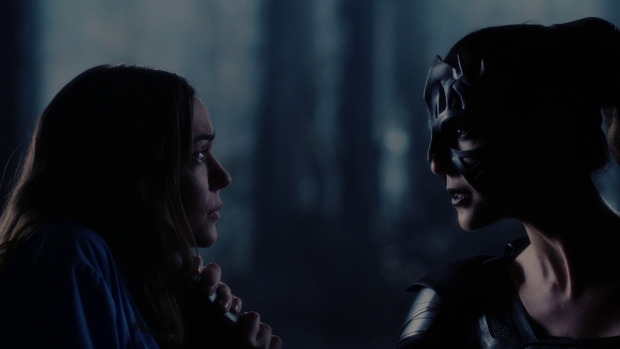 The introduction of Grace and having her being fully committed to being Pestilence worked really well as it presents Kara with a very different challenge and helps each Worldkiller feel distinct. Kara and Imra’s arguments over whether Pestilence should be killed to save millions are well presented but they also become very repetitive after a while with a really weak resolution. Mon’El’s justification for his morality is a lot stronger and creates plenty of scope for conflict that doesn’t feel forced. Lena’s decision to lock Sam up and run tests on her may come from a place of friendship and love but it’s also an arrogant assumption on her part. She believes that she’s the only one who can save Sam so tries to do it herself. It’s clear from Kara’s reaction that she isn’t happy with Lena’s decision and there will be some friction created as a result. There’s a lot going on in this scene as Kara also finds out that Sam and Reign are one in the same. Allowing Sam and Reign to interact while explaining how their connection works is really interesting and sets up another conflict that will likely culminate in proving who has the stronger will. There’s a better than average chance that Ruby will be a big part of Sam’s motivation.